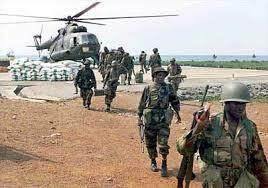 The statement from the Nigerian Army indicates that the brutality experienced in the past by the Nigerian army on Biafrans and other targeted regions is going to increase in 2018. Chief of Army Staff, Lt.-Gen. Tukur Buratai, says Nigerian Army will conduct more operations in 2018. “We are not thinking of any particular situation, we are going to train on general areas which could include that aspect (Benue killings) as well. Buratai charged the troops to be prepared as some of them may be deployed to any part of the country at short notice for operations to assist civil authorities to tackle internal security challenges. He said he had approved funds for training in 2018 and therefore, they should expect a “robust training” during the period. “This is to enable us to accomplish the task assigned to us by the Commander-In-Chief,” he added.